Description:Meet PRISCILLA! She is a beautiful, precious girl who loves everyone she meets. 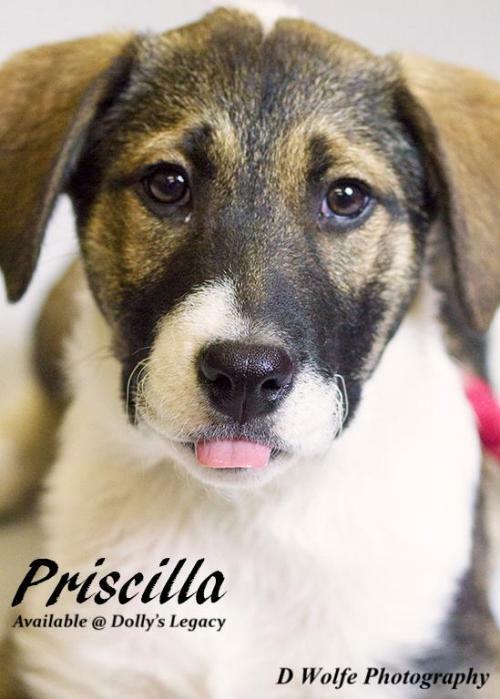 Priscilla is a cuddly, sweet, fun-loving pup who was born September 2015. She was rescued along with her brother Prince after being found trying to survive on their own as stray baby pups in southeastern Missouri, likely having been dumped as so many are in that rural area. It is heartbreaking to imagine what their story is, where their littermates & mommy are, and why they were left to fend for themselves. Their fate has changed forever and Dolly's Legacy has made them the promise they will never again feel the heartbreak of abandonment. Priscilla needs a home with a fenced in yard as she loves to play in the grass! Priscilla is spayed, vaccinated, dewormed, treated with flea/tick preventative and microchipped. 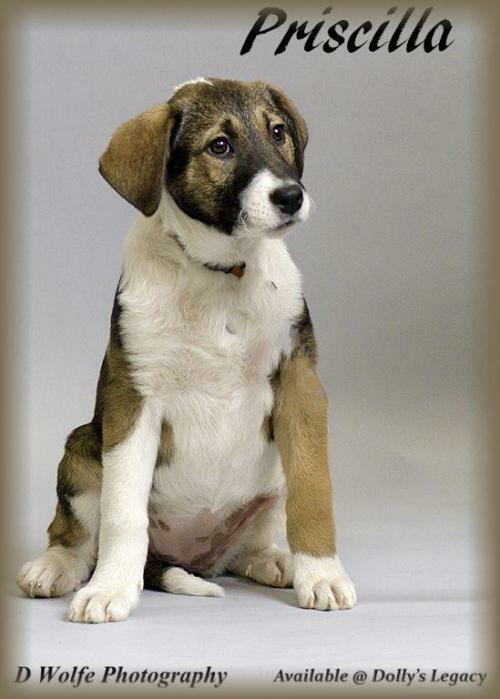 Adoption fee is $375. For adoption guidelines and to submit an application, please go to this link: http://dollyslegacyanimalrescue.org/adopt/ We are a foster-home based rescue group and do not have a facility. The first step is to have you complete our online adoption application. All adoption appointments are scheduled after your application has been approved. We are 100% volunteers & will generally reply within 3 days of application submission. PLEASE be sure to answer all questions completely or it will delay processing, be sure to include vet phone#. If you have any questions please email DollysLegacy@aol.com. 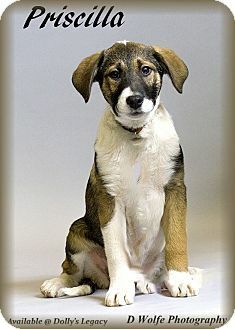 Please 'LIKE' our facebook page to learn more about our rescue, see more pictures & get updates on all our adoptable pets!